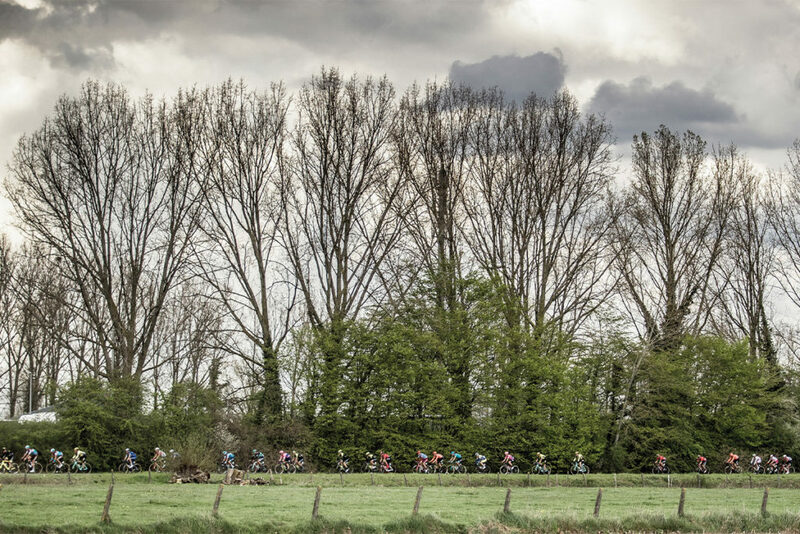 The 103rd edition of de Ronde van Vlaanderen – the Tour of Flanders – takes place on Sunday 7th April, 270.1km of parcours featuring a staggering 17 hills and five stretches of pave. It’s the second monument of the season after March’s Milan-Sanremo where AGR2 La Mondiale’s Oliver Naesen and Team Sky’s Michal Kwiatkowski finished second and third, respectively. The riders ‘enjoy’ their first taste of the cobbles after 80km on the Lippenhovenstraat and Paddestraat. 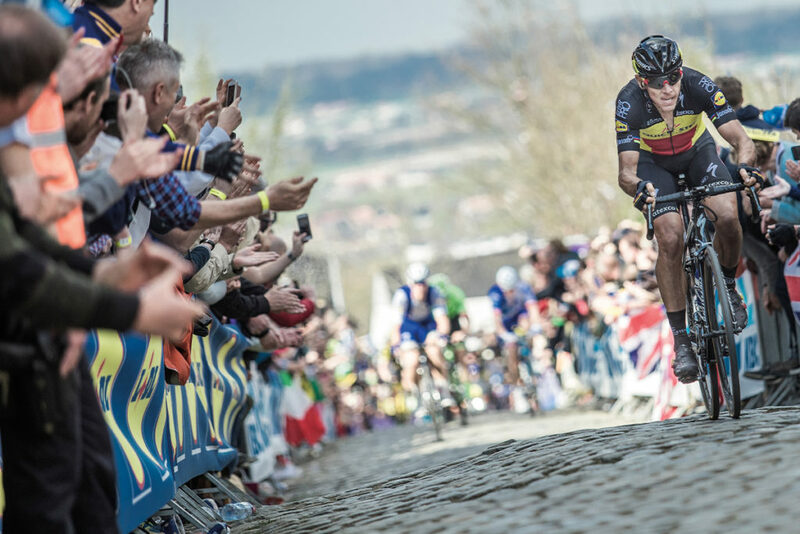 The cobbled climb up Oude Kwaremont makes its first appearance after 120km and then, with around 170km on the clock, the riders hit the Wall of Geraardsbergen. The legendary 1km ascent maxes out at 20% before cresting beside the iconic chapel. The closing Paterberg is only 360m long but averages 12.9%, peaks at 20.3% and could decide the race. But which of cycling’s hardmen will win? 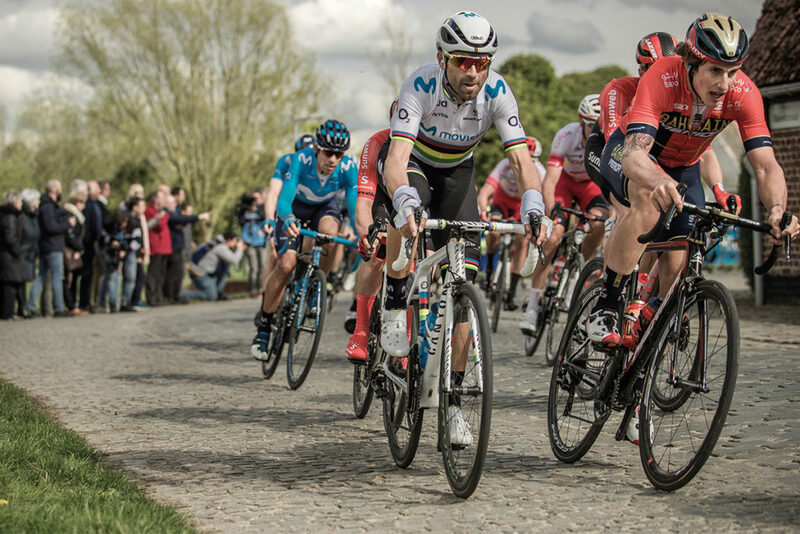 Movistar Team’s World Champion Alejandro Valverde is making his Flanders debut. The 38-year-old suggests his inexperience on the pave might prevent victory but cycling is nothing if not unpredictable. And, of course, El Bala will have experienced Belgian teammate Jurgen Roelandts alongside him. Nelson Oliveira also showed good form attacking at Dwars doors Vlaanderen. Luke Rowe heads into Flanders for Team Sky, looking strong at Dwars doors Vlaanderen. The longer distance – 270.1km versus 182km – could play into the Welshman’s hands. 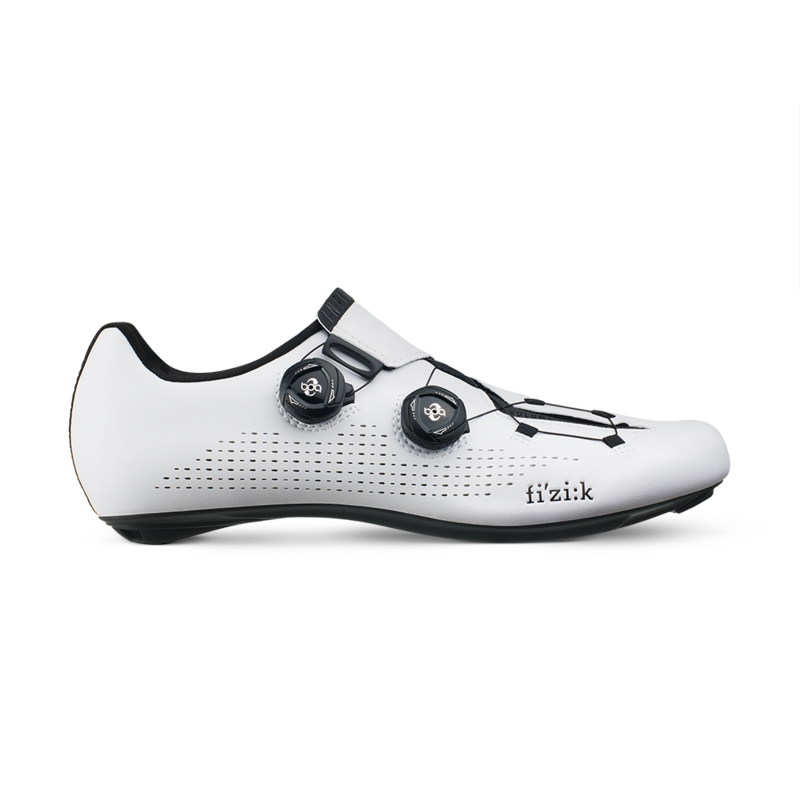 He’ll be supported by the likes of Gianni Moscon and Christian Knees. Wout van Aert only joined the Dutch Team Jumbo-Visma on 1st March but has already finished sixth at Milan-San Remo, third at Strade Bianche and second at the E3 BinckBank Classic. It’s why many have the three-time Cyclocross World Champion as their favorite. It’d be one of the most remarkable stories in the history of cycling if the 24-year-old can claim the Flanders crown. AG2R La Mondiale’s Oliver Naesen’s third at Gent-Wevelgem is proof of the Belgian’s form. 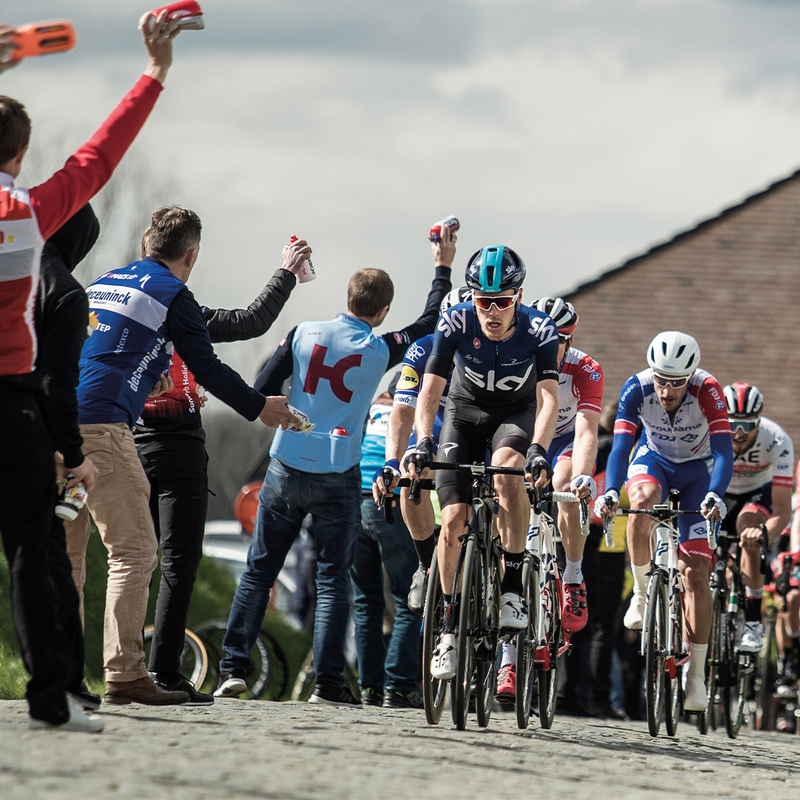 Aligned with the fact 69 of the previous editions of Tour of Flanders have been won by a Belgian, it’s clear to see why many are tipping the 28-year-old as the man to beat. 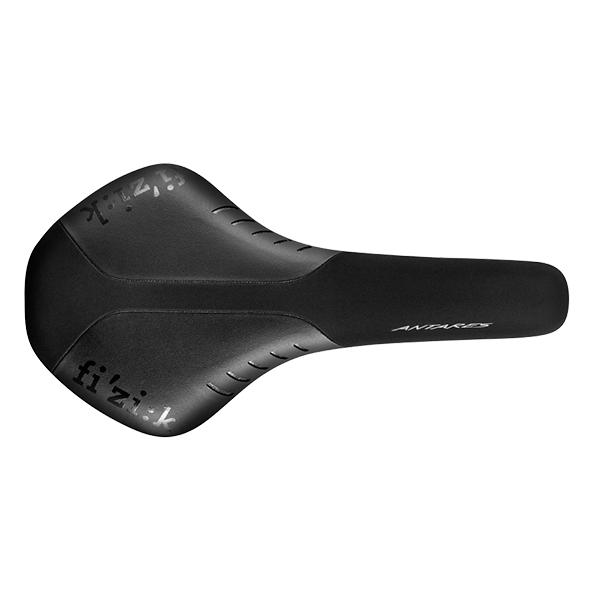 His powerful team includes the experienced Tony Gallopin and Silvan Dillier.